Sturgeons, the leviathans of freshwater fish, have become scarcer since the early 1900s due to stressors, including overfishing, other industrial uses for the fish, and polluted waters. Today, thanks to the Clean Water Act and rigorous reintroduction projects involving habitat restoration and stocking, lake sturgeon are faring much better. 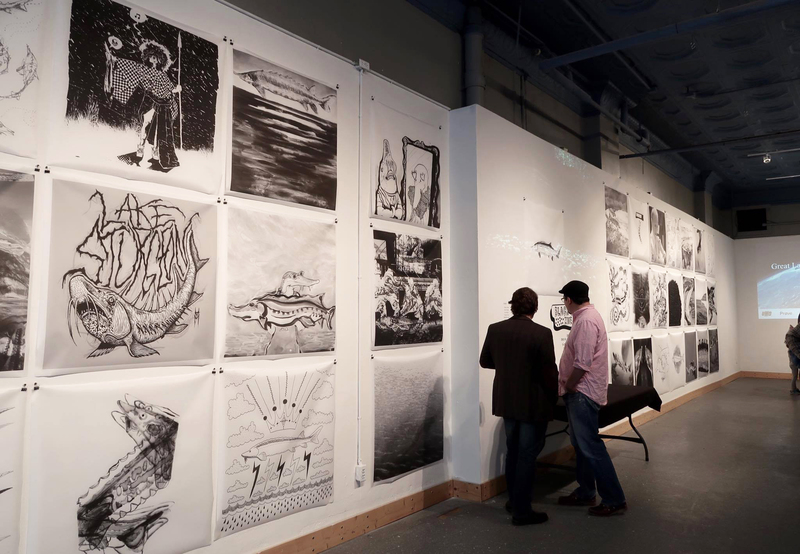 Curated by Ryuta Nakajima and Darren Houser, of the UMN-Duluth’s Department of Art and Design, the artwork in this juried exhibition is from numerous artists who are helping to mark this success, record history, and inspire the next aquatic conservation effort.